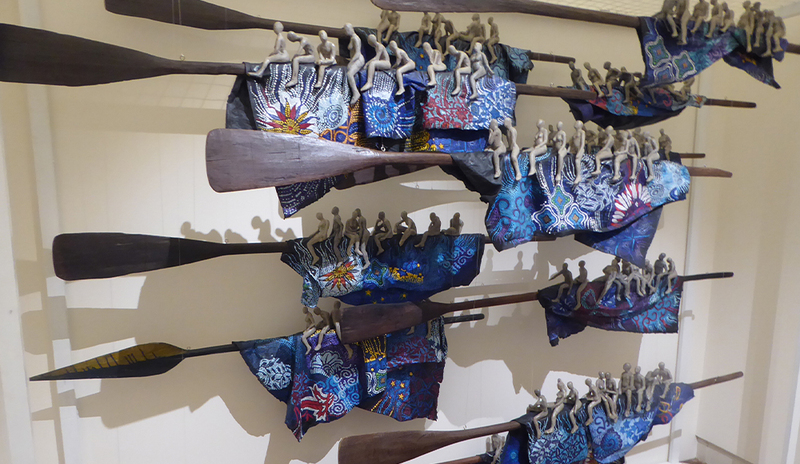 The 1-54 Contemporary African Art Fair runs from 4-7 October at Somerset House, and is the leading exhibition dedicated to contemporary art from Africa and its diaspora. The 1-54 in the event’s title refers to the fifty-four countries, which make up the continent of Africa. 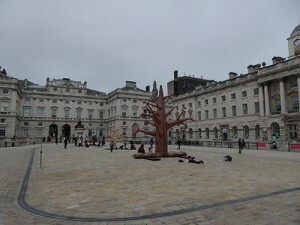 Somerset House is one of London’s most recognised buildings, and the exhibition space is divided up into a large number of small rooms, providing intimate showcases either for individual artists or for geographic regions. 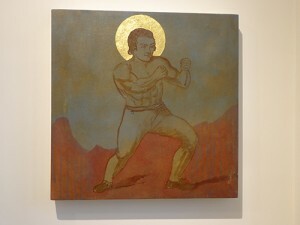 The current fair provides a vivid illustration of the explosive creativity emanating from Africa, including painting, sculpture, photography, video, furniture and numerous works of mixed-media. 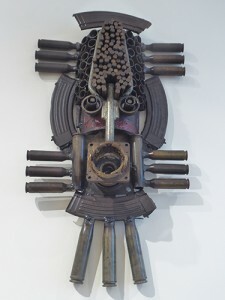 These are as diverse as tribal masks made from scrapped munitions to large wall-hangings comprised of colourful fabrics. 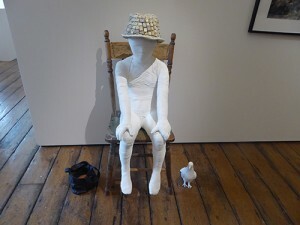 The exhibition is complemented with a number of artist talks, open forums, lectures and performance pieces. I understand that your artwork The First Day of the Yam Custom, 1817 was inspired by a book you discovered in the SOAS Library? How did that come about? Any other memories of your time at SOAS? 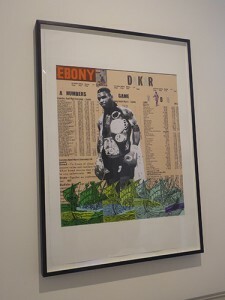 Some of Godfried’s artworks, which can currently be seen at the Contemporary Art Fair include: Ebony Dakar Edition, 2003; St Daniel Mendoza, 2010; and St Tom Molineaux, 2010. 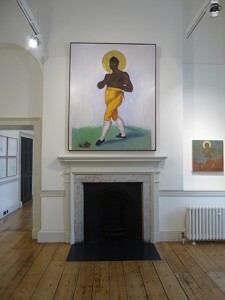 Hot foot it to room W17, on the ground floor of the west wing of Somerset House, to discover more about Ghanaian art.